We're back from a little blogging break and let me just say...that was such a nice little respite! I loved stepping back from a few responsibilities to focus on the ones that really matter: these two little ones! We have been playing outside nonstop which means lots more baths around our house. Lately, it's been a real struggle. 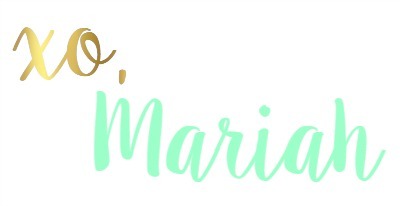 Between a busy one year old who doesn't like to be held still and a bossy toddler that doesn't like to do anything (! ), getting them clean can be a real fight. I am so thankful we had the opportunity to try out SoCozy's newest line of sensitive and nontoxic products available at Target, called Hush! The Hush line currently has 4 products: 2-in-1 Shampoo & Conditioner, Styling Foam, Leave-In Detangler, and Scalp Serum. 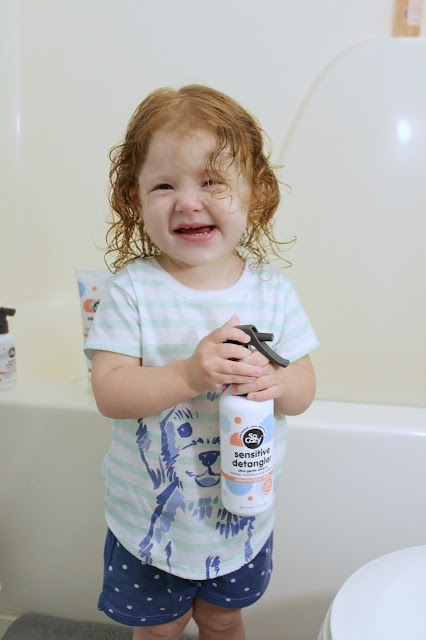 My kids usually dread their shampoo rinse, but with the Hush 2-in-1, there were no tears and only one round of rinsing which made everyone happy! I love that it was gentle enough to use on both my toddler and my baby. We also loved the detangler for Lucy's curly locks. For once, she didn't fight me when I combed her hair! Mamas of curly-haired cuties, I know you feel me! As for the styling foam and scalp serum, we honestly just don't have a lot of use for those. Neither of my kids has hair that particularly needs the extra hold from a styling product and since neither of them were battling an irritated scalp, we didn't see much change using the serum. I think it's great to have on hand in case something does irritate things later on, but mostly just recommend the shampoo and the detangler! What shampoo are you using on your little one? Is it gentle and nontoxic? My littles are loving bath time now that it's tear-free for them!